Have you ever needed to copy the same element on a slide a few times? Have you ever needed to copy the same element on a slide a few times? How have you done that? Let us guess – by using Copy -> Paste, right? What if we tell you there is twice as fast way to do that? Would you be interested? We hope so! Go click the object you want to copy and press CTRL + D (⌘ + D on a Mac). See? We just increased your productivity twice. Now you have to just use one key combination and not two. Now, where is the magic here? It’s cool, but… come on! There’s no magic in here! How about this then – have you ever wanted to not only copy the same object on your slide, but copy it a few times in such a way that the new copies are arranged or aligned in the same way. How do you do that? 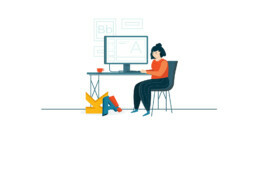 Copy – Paste the first time, move the fresh copy where you need it and then repeat, right? Here’s something you would love! Once you create the first copy of the object with CTRL + D(⌘ + D), move it to where you want it to be and then hit CTRL + D again and watch what happens. PowerPoint remembers what you have done and repeats in the same “proportions”, let’s call it! Friday can be a cool day, huh? Hope you enjoy the productivity trick of the week! 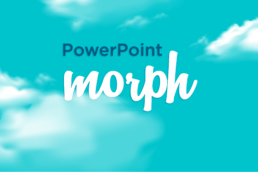 Have you heard about PowerPoint Morph Transition? It's a new transition inside PowerPoint and you should be seeing it if you are using Office 365!